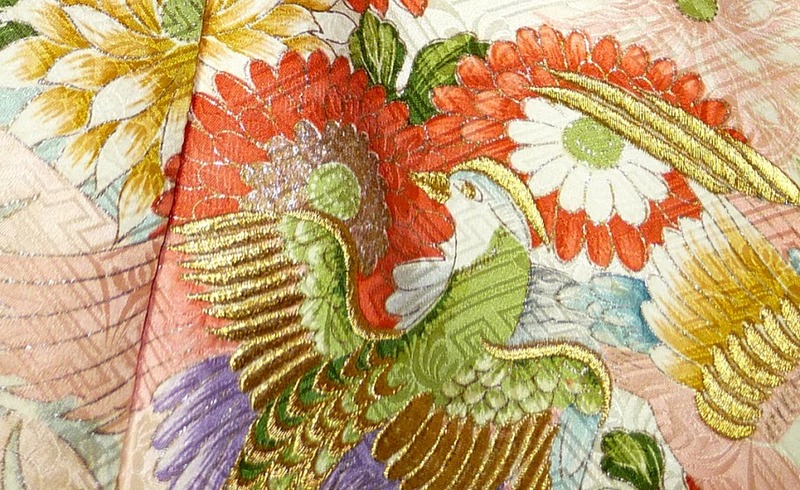 Japanese textile art often leaves me overwhelmed by its beauty and intricacy. 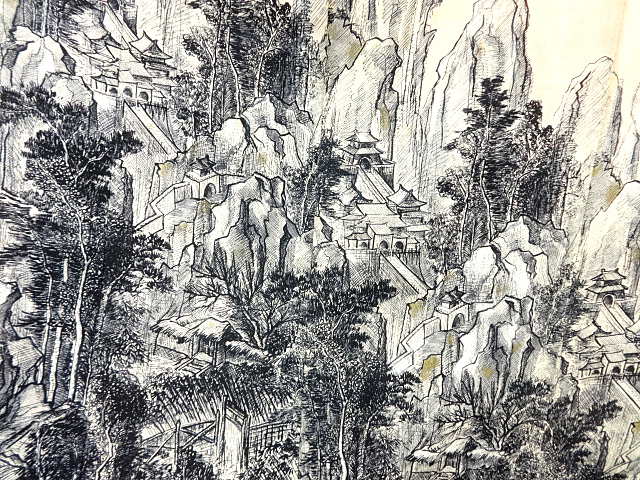 Many kimonos have hand applied textile art, known as yuzen, created by several artisans, from the designer to an artist whose speciality may be outlining, another whose speciality is shading, perhaps one who applies metallic lacquer etc.There are also magnificent examples of textile art that is woven and some is hand printed or stencilled or created using batik or shibori (tye dye) techniques. 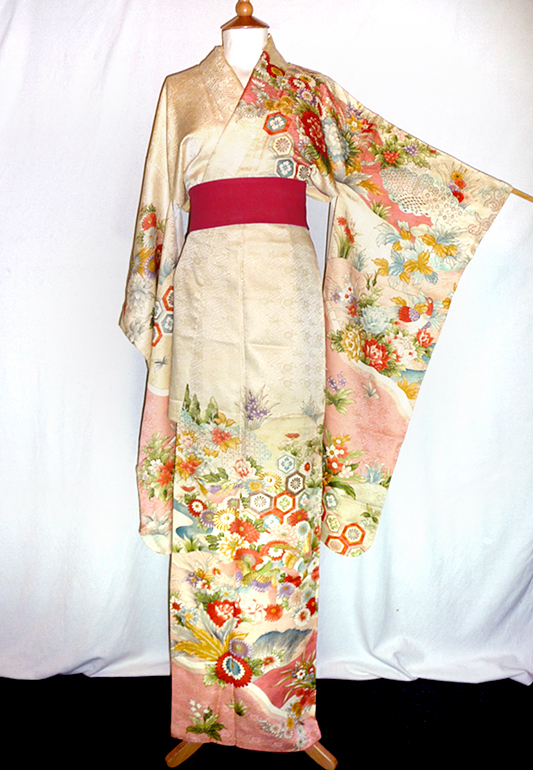 I am saying this simply as an excuse to show off some beautiful examples of the Japanese garments I have. 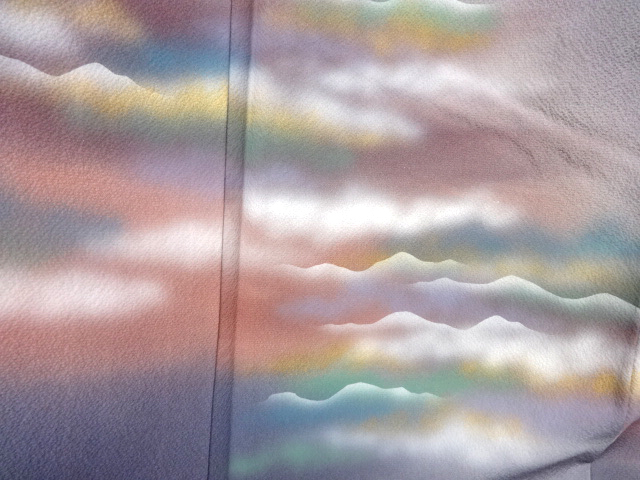 This next kimono has a wonderful repeat landscape. 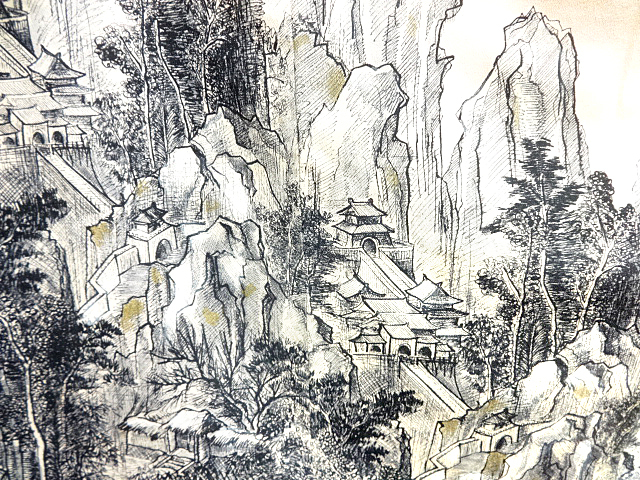 Blind Man’s Bluff on a Men’s Haori Lining. 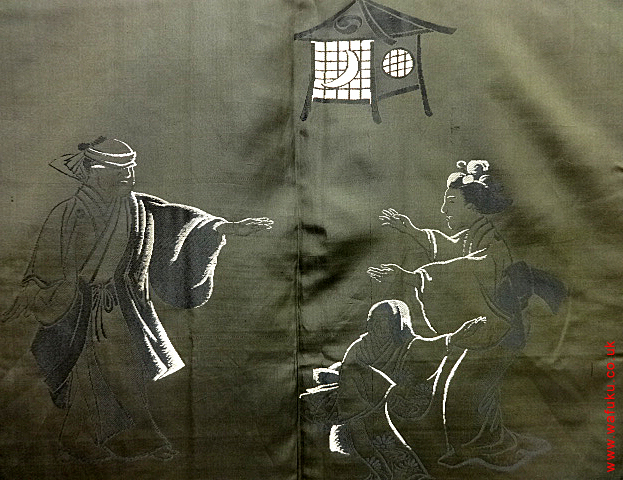 One way geisha entertain is by playing lighthearted games and here, on the donsu silk lining of a men’s haori, is a portrayal of a game of blind man’s bluff being played in a dark room, by just the light of the moon coming through a little window. 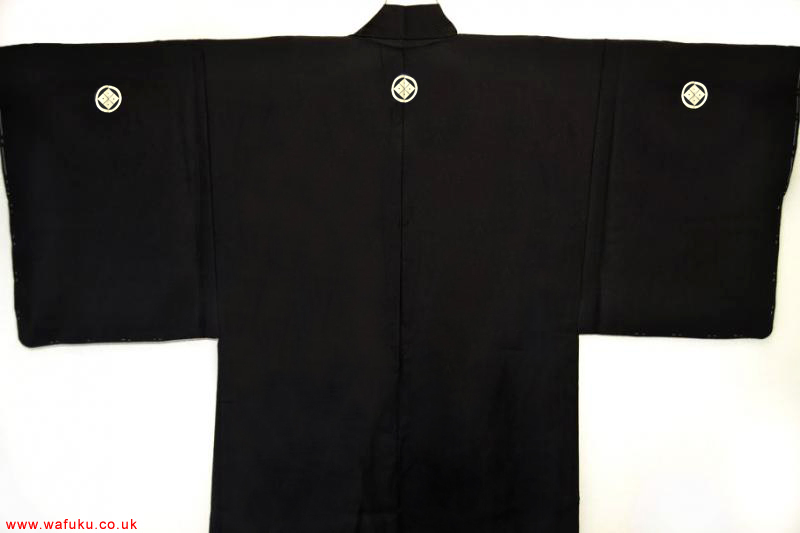 The outside of the haori is black habutae silk, with 5 mon, making it the most formal haori, called an itsutsu montsuki haori. 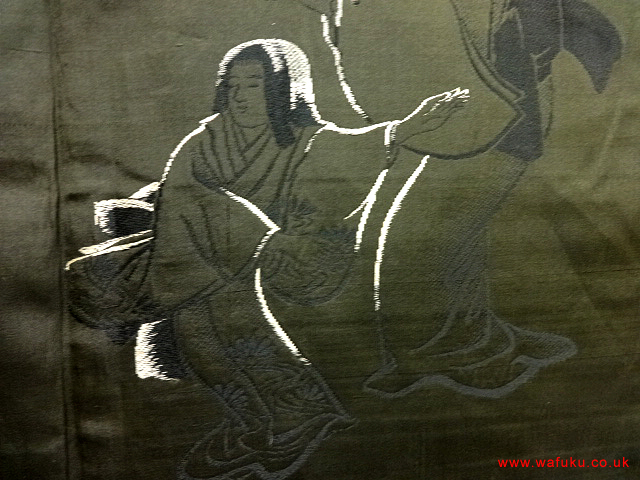 The outside of that haori; black habutae silk with 4-eye mon. 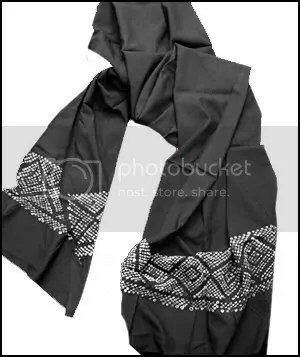 There are three mon at the back and two at the front, making it the most formal style of men’s montsuki haori. 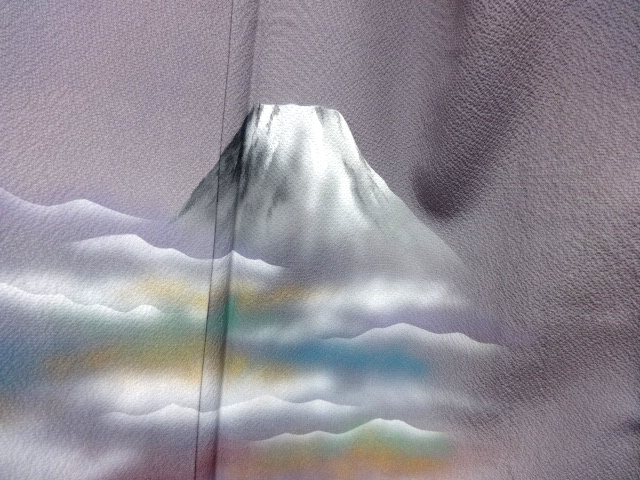 Mount Fuji Through clouds. Simple but striking. 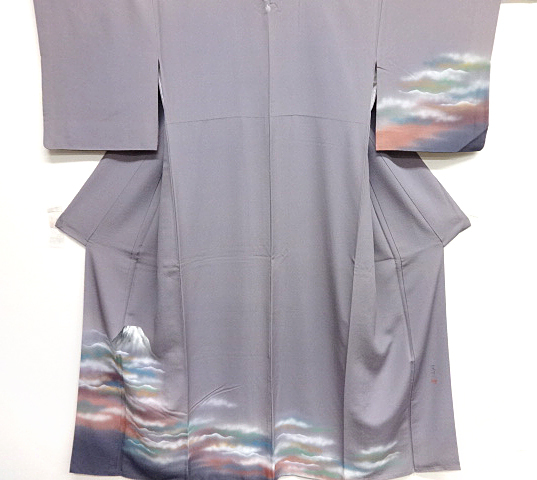 The textile artist has added his signature to this kimono. 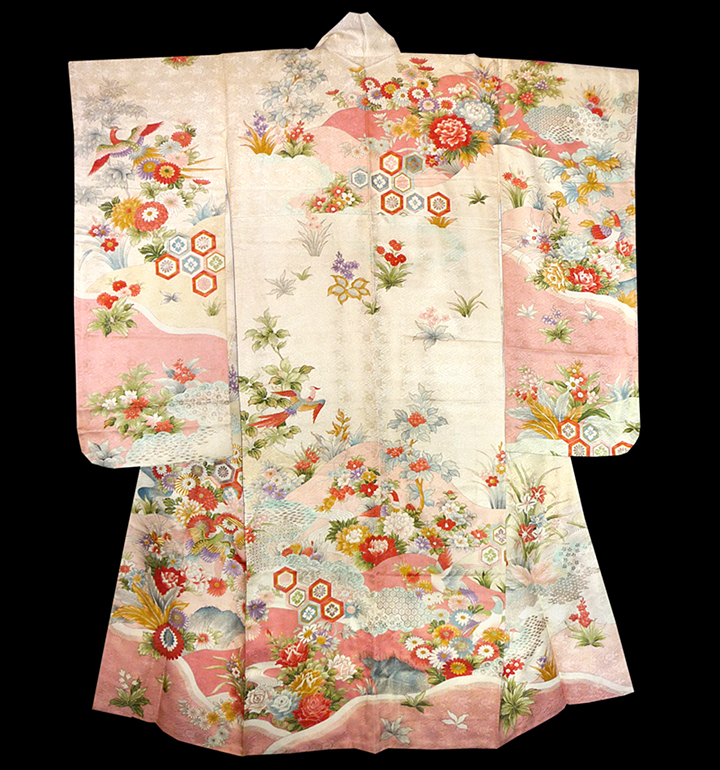 An antique furisode kimono. 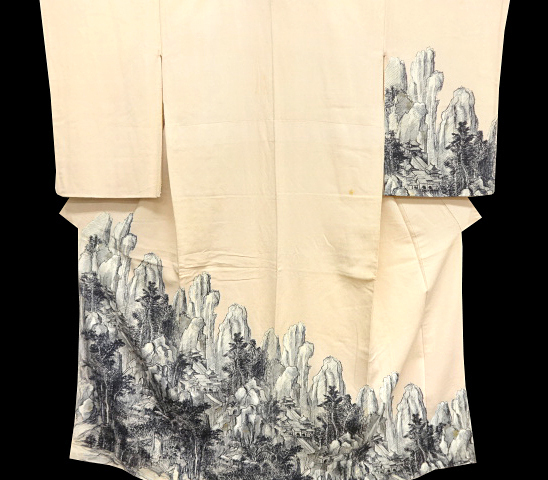 This kimono has the ultra-deep swinging sleeves of a furisode (only worn by young, unmarried women) and wonderful artwork including brightly coloured flowers, beautiful birds, ouches of lacquer work and lavish, gold embroidery. 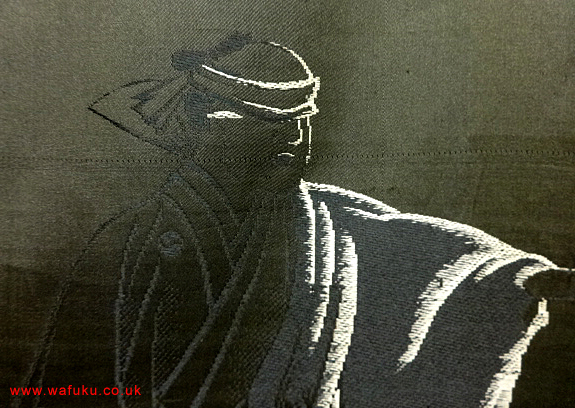 A delightful woven design on a pre tied obi. 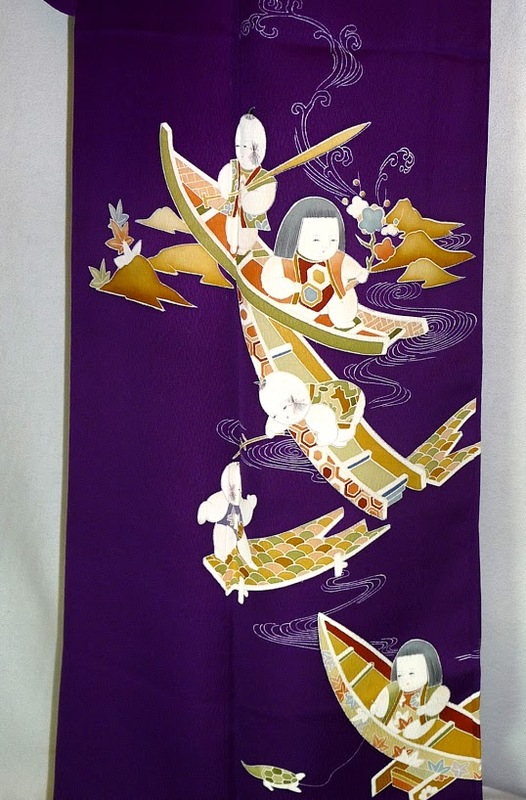 Next is a very Japanese motif, flying cranes, on a glorious purple silk. The one below is an odd one, it is a very fine, high quality, soft wool textile, so fine it almost feels like soft cotton, with Thumper the rabbit from the Disney film Bambi. 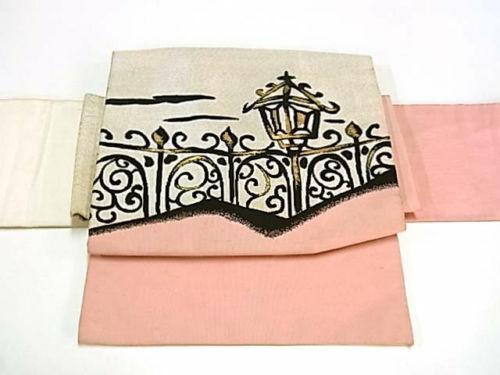 Not what one thinks of as a Japanese motif but the Japanese did like early Disney animations, so one occasionally finds characters from them on their textiles. This is an entire bolt of textile, roughly 12 metres, woven to make a child’s kimono and haori ensemble. I can’t resist any Japanese textiles, whether unused lengths of fabric or already made up into fabulous Japanese wafuku. 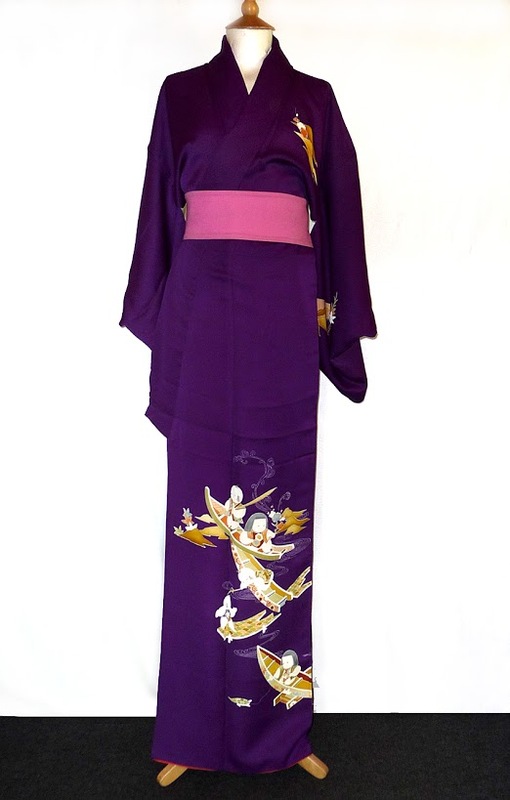 Obis Galore – wafuku.co.uk – Vintage Japanese Kimonos etc. 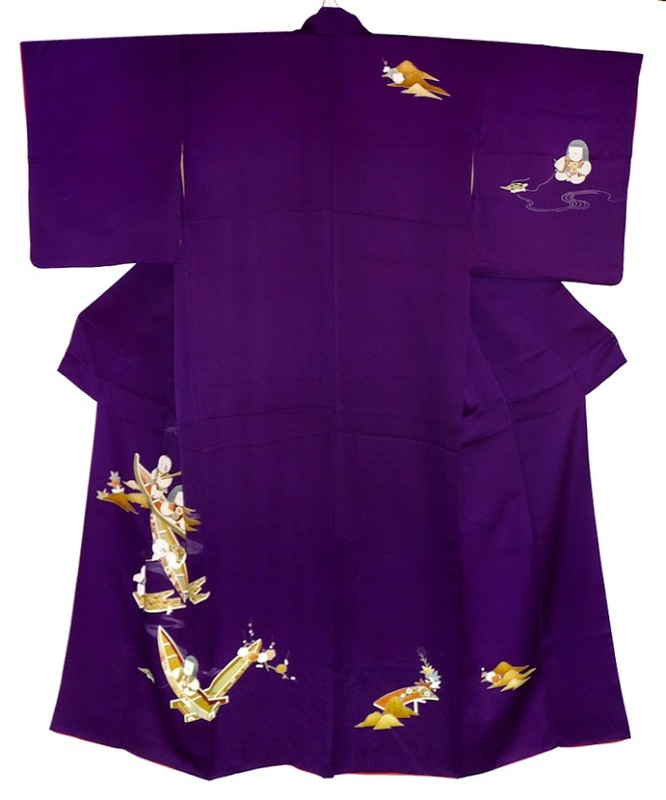 The obi above is a purple silk, two part nagoya obi, with a hand painted oil painting of glorious flowers. The large white stitching around the edges is just to keep them neat during storage, they just get pulled out before use. 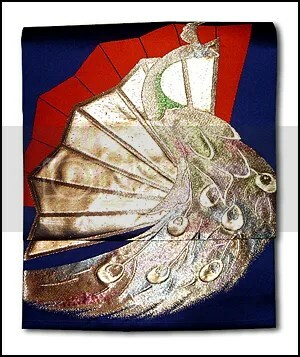 The obi below has a lovely example of a stylised peacock and sensu (folding fan) shapes, woven in iridescent and metallic, urushi (lacquer coated) thread. 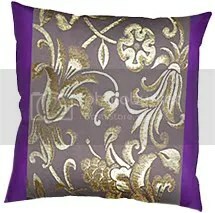 The peacock’s feathers shimmer with metallic colours. 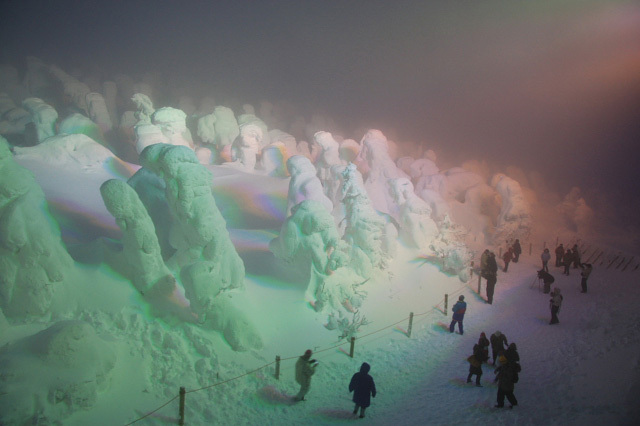 The photos show the rear section of the obis; this shape is known as a taiko. Contrary to what many believe, this shape ‘knot’ is not named after the little taiko hand drums, it is named after the Taiko bridge where this shape of knot was first worn on the opening of the bridge. 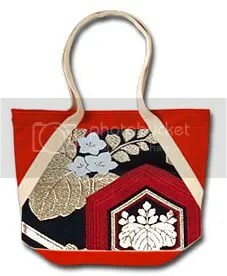 It was worn by a few geisha and quickly caught on and became fashionable. Although called a knot, it is not actually tied into this shape; The obi sash section is tied and the knot section is folded into this shape and held in place using an obiage and an obijime. The taiko is padded out at the top with a bustle pad called a makura. You can see a nagoya obi being tied into this shape in the video instruction in one of my earlier posts on this blog. 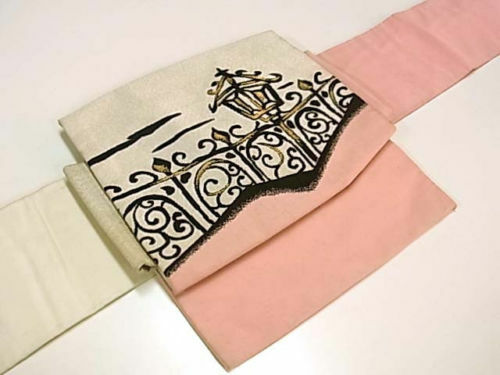 Below is a maru obi. 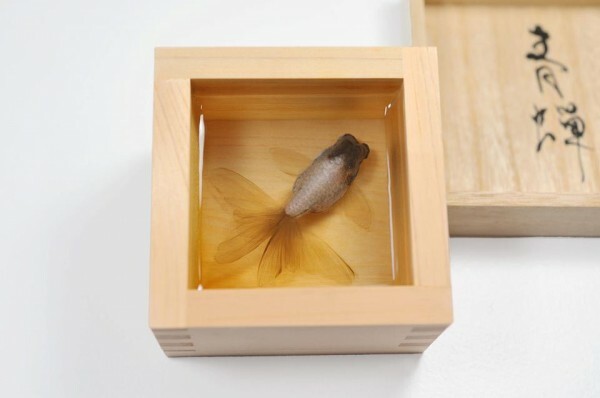 Maru obis tend to be extra expensive because they have pattern along their entire length and on both sides. 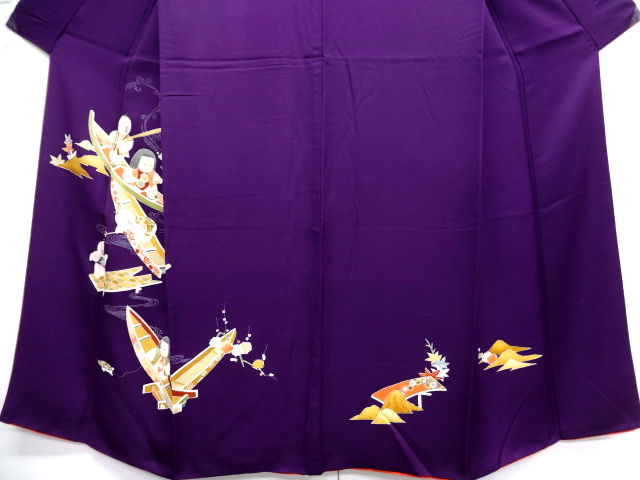 Fukuro and nagoya obis usually have pattern on only one side and often only on the parts that show; the section of the sash that doesn’t show may be plain. 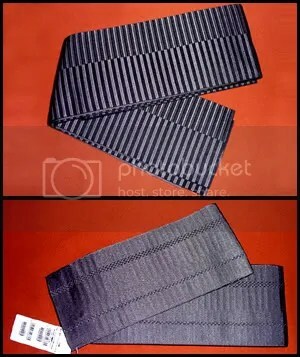 The next picture shows a reversible, man’s kaku obi and, the picture below that shows a heko obi. Kaku obis are formal wear for indoors and outdoors and a heko, soft obi (also known as a house obi) may used for informal wear at home. 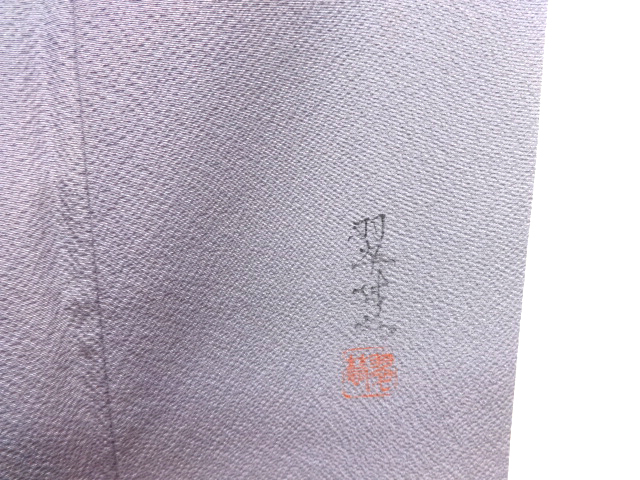 The kaku obi has one pattern in the weave on one side and a different one on the other. A kaku obi is wound round the waist and tied at the rear in a clam knot, the heko obi can be tied at the rear in a simple, floppy bow. Obis are exceedingly long, as they are wound round the body more than once, and a woman’s one in particular requires a lot of length for the rear knot too. 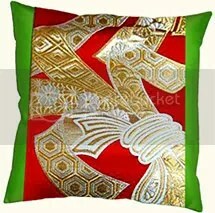 For example, the heko obi above is 303cm long, 70cm wide and is about half a kilo of silk. 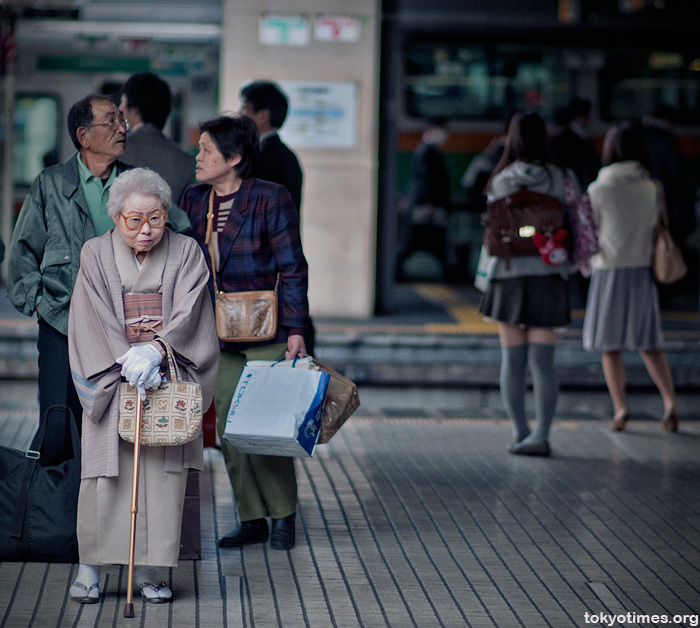 A women’s obi is usually much heavier and can cost as much or more than the kimono it is worn with. 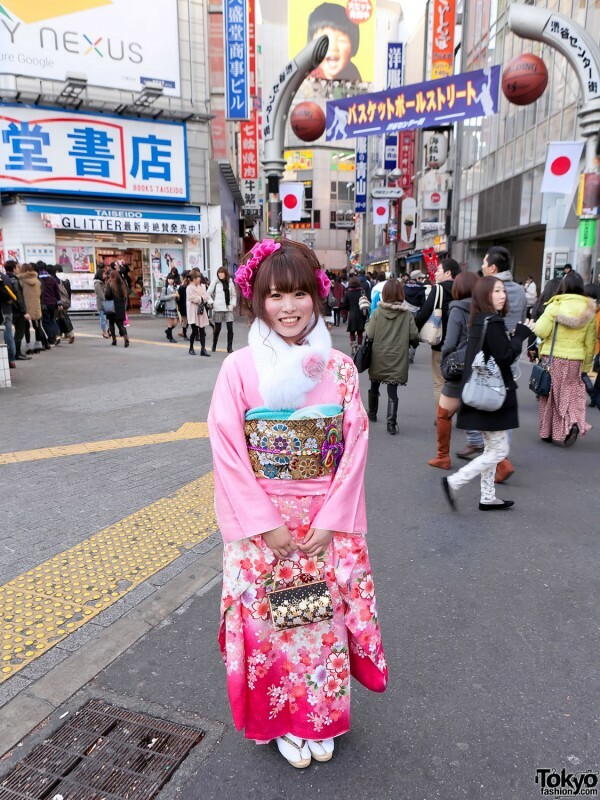 The obi is always bought separately from the kimono. Think of it like a skirt and blouse, you can’t wear either just on its own; you buy them separately and mix and match. 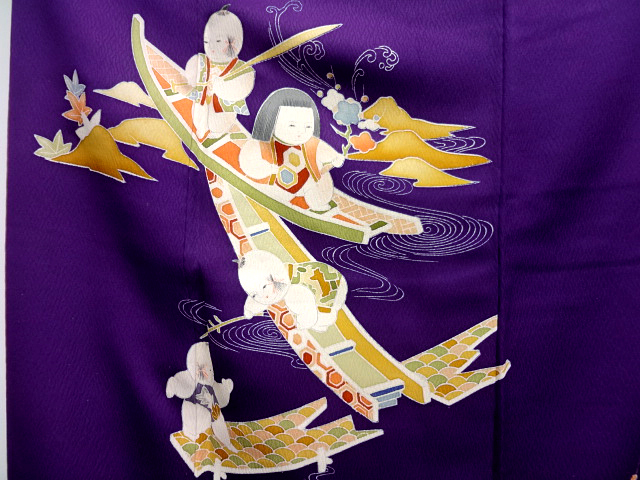 The picture above shows Maiko’s obis, called darari obis. Maiko wear their obis with the ends hanging down at the back and their geisha house’s mon (crest) on the end. Even used, damaged darari obis are incredibly expensive and I have not yet been able to afford one. Geisha (nowadays called geiko) are hostesses, they are not prostitutes; long ago obis were tied at the front but, when they became deeper and the knots became bulkier, they were worn tied at the back instead and have remained so ever since but the way to tell a prostitute from a geisha used to be that a prostitute continued to wear her obi tied at the front, which made it easier to remove and put back on. 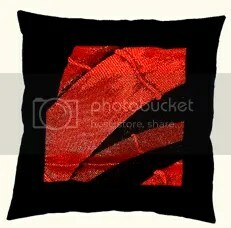 Below you see examples of cushions and a bag made using Japanese obi fabric. 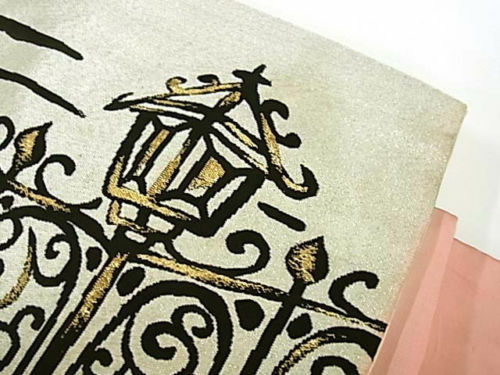 Obi also make fabulous table runners and look wonderful laid down the centre of a bed. 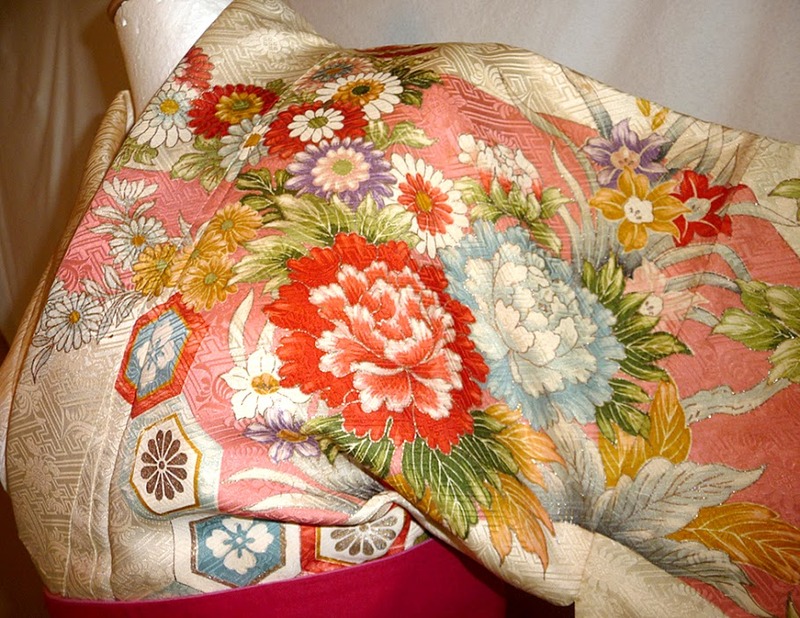 Kimono fabrics, often with hand applied artwork, can also be made into lovely new things.